Pie charts are one of the most effective means of conveying information clearly and quickly to an observer. That said though, pie charts are not always the simplest things to make. Even worse, the more information the chart needs to convey, the more difficult it is to make. Unless, of course, the individual preparing the pie chart has a pie chart template, which makes the chart creation as simple as plugging in numbers and letting a computer do the heavy, graphical lifting. How Does a Pie Chart Template Work? Microsoft Excel, perhaps the most popular spreadsheet program out there today, has a function that allows it to take raw data that someone inputs and to turn it into a pie chart. These charts can be flat or three dimensional, and the slices can be assigned a wide variety of different colors. The data can appear inside the slices, or outside them, depending on the individual’s preferences. However, the pie chart template allows for a no-sweat creation of these charts that’s as simple as plugging in data and clicking the mouse a few times. 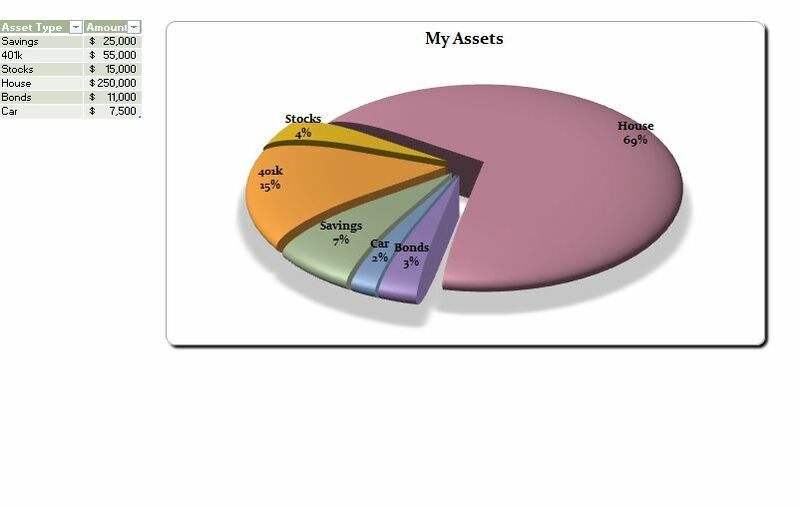 Once someone has downloaded the free pie chart template found on this site, and saved it to his or her computer, the next step is to open the file. Once open, the user needs to examine all the places to put the data he or she has. After the data has been inputted, the template will turn it into a pie chart. This chart can then be personalized and customized so that every individual using it can show the results in a simple-to-understand, yet eye-popping way. The great thing about this pie chart template is that it saves a lot of time and effort for users at precisely no cost whatsoever. This template is free to download, and what’s more users can download it as many times as they want or need to. So whether someone wants to put this program on a work machine, home machine, school computer, or all of the above, there’s no limit to the number of times a user can get this template. This is extremely helpful because if the file gets lost, misplaced, overwritten, corrupted, or accidentally deleted then all a user has to do is click the link and download a replacement. It’s simple to get, and just as simple to use.